hello! thanks so much for clicking on my mod! 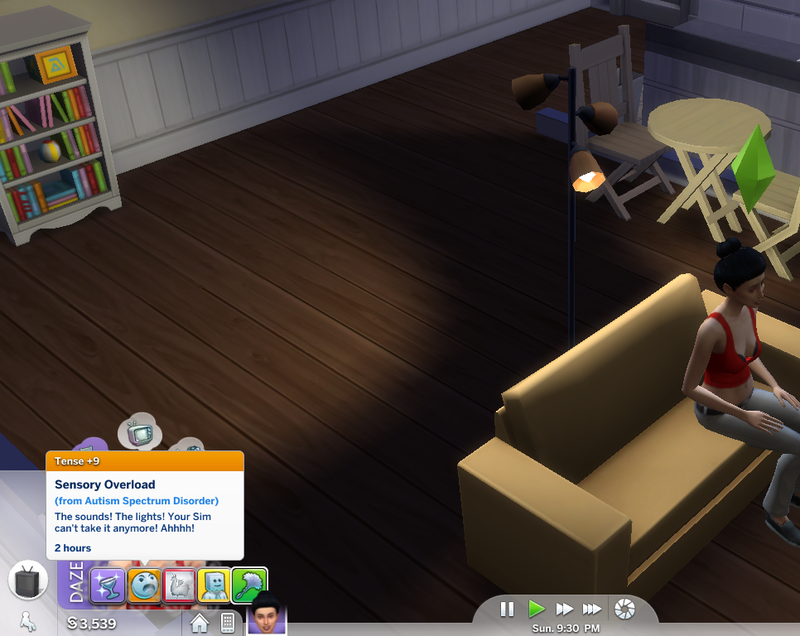 this mod version is version 1.1, but the bugs were so minor they do not require a changelog. please download the appropriate file. and dont forget to periodically check back for updates! 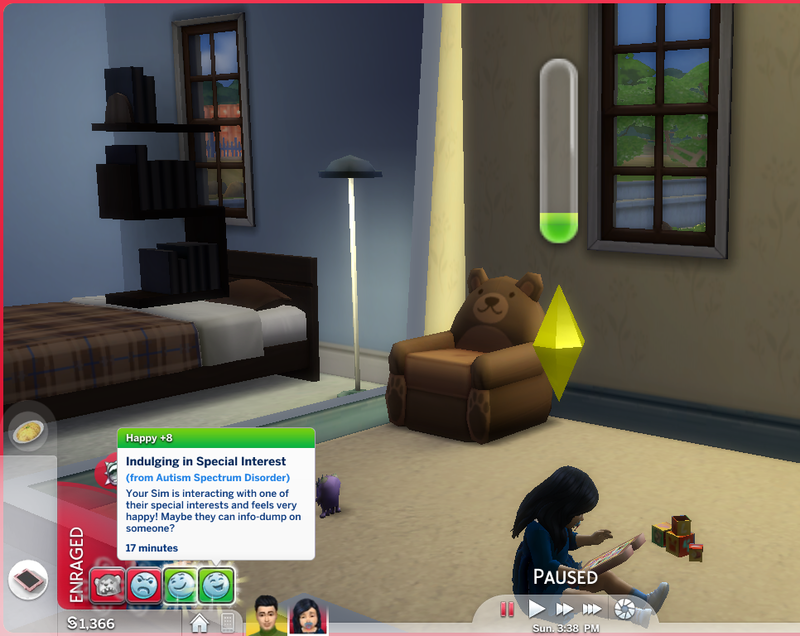 this mod was built with PC 1.37.35.1010 / Mac 1.37.35.1210.
this mod is base game compatible, but for best results, combine it with cats and dogs and parenthood. 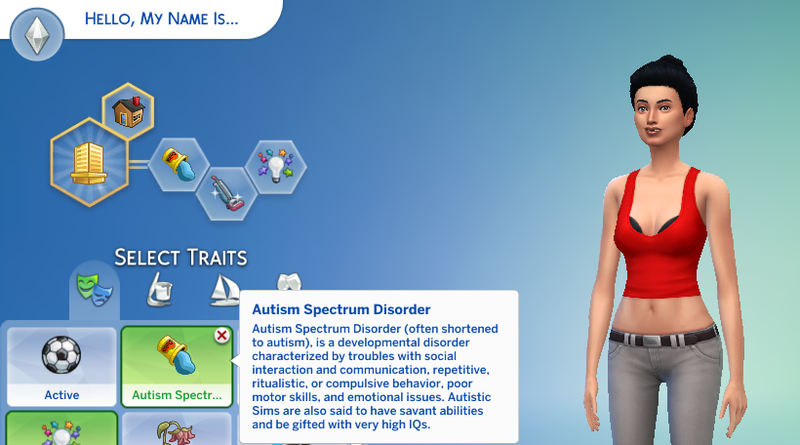 this mod adds the custom trait of Autism Spectrum Disorder (also known as ASD), which will affect your sims need decay, friends, ability to form relationships, moods, and whims. i really tried to go all out with this mod, so it took me about 5 hours to make it if youre curious. if you have any feedback, please leave it in the comment section below. 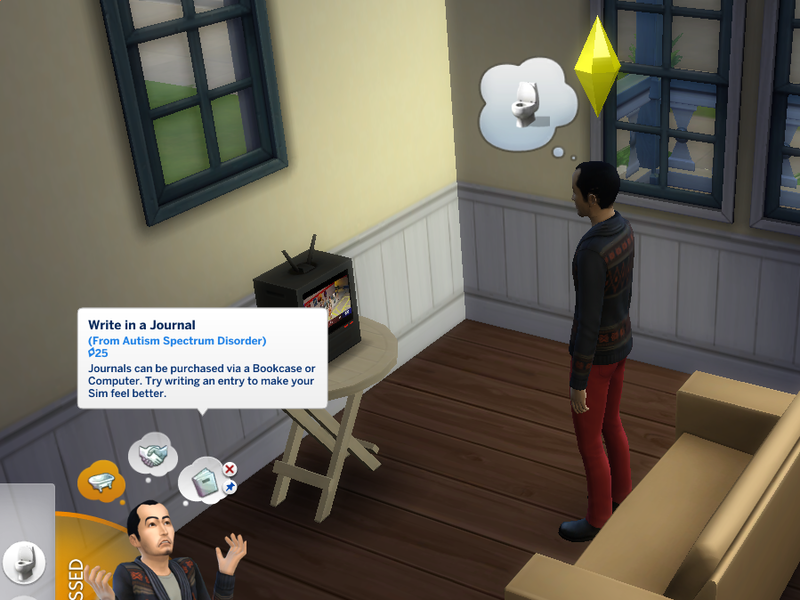 i will be making more mental illness mods in the future, so feel free to give requests! if you like my mods, feel free to favorite me and/or check my page for more! as a disclaimer, i am on the spectrum and i am professionally diagnosed. 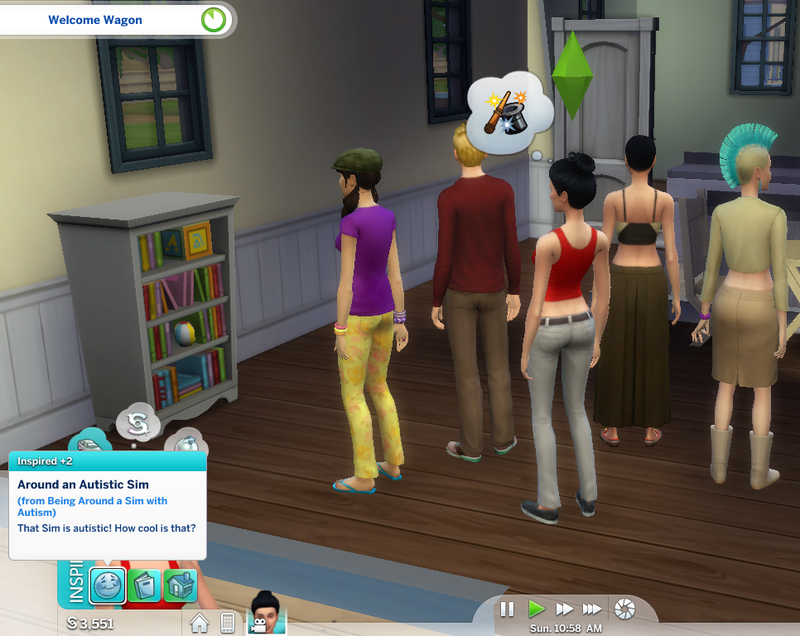 i know that this mod will not be 100% accurate, as not all autistic people are the same. 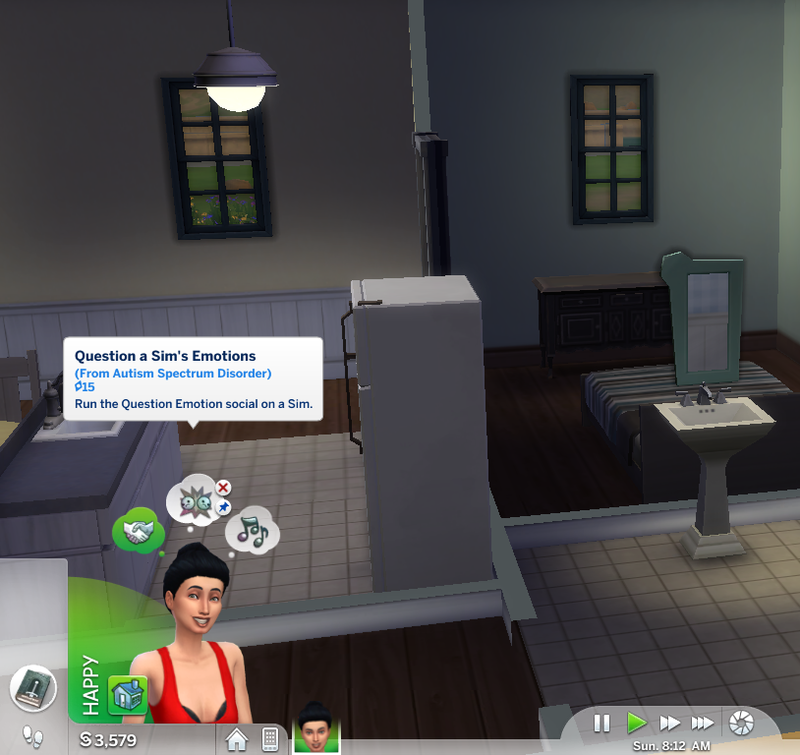 what does this mod do though? 311 people have said thanks to piebaldfawn for this download.